Freightliner CORONADO 122 Driver Manual. The history of the automotive company Freghtliner began in 1929, when Leland James founded a small transport company, Consolidated Freight Lines, in Portland, Oregon, to serve the ten western states of the country. Since 1937, the company began to redesign the standard cargo chassis, installing on them lightweight aluminum cabs over the engine. In 1939, the company was renamed Consolidated Freightways, and in January of the following year, it established its own production division Freightways Manufacturing in Salt Lake City. Where, by August 1940, the first 10 truckless Freightways-100 trucks were assembled. In December 1940 a part of the cars received the brand "Freight Liner", and from the middle of 1941 it was replaced with "Freightliner". Until early 1942, the company produced for its needs almost identical hatchless trucks of the series "100", "400" and "600" with an aluminum cabin. Then they switched to the manufacture of military aircraft parts, and after the war this plant was closed. August 19, 1942 in Portland was founded a new company Freightliner Corporation (Freightliner Corporation), but only on January 2, 1947, she began assembling the models of the "600" series with a steel cabin. In the same year, there appeared a 5 tonne series "800" with the Buda or Hercules diesel engines with a power of 240-262 hp, the main 4-speed and an additional 3-speed gearbox Fuller, Timken bridges, aluminum cab and light alloy parts. Since October, the production of the "all-aluminum" model "L-89" with 275-horsepower engine "Cummins" has begun. By this time, the company employed 62 people, who collected 40-60 cars a year. Since 1950, the series "900" with a sleeping cabin and a 10-step box went into production, which had a great success on long-distance haulage. Structurally, all cars were almost identical. Outwardly they differed by the radiator grille and the length of the cockpit front panel extended. Since 1949 on the chassis "600" the production of the first hood trucks Conventional 6 × 4 has begun. Signed with the company White in 1951 agreement on mutual sales and maintenance of trucks developed into a contract to acquire the entire company Freightliner. This made it possible to build a new plant in Portland, where in 1952, they assembled over 250 new light-weight unloaded White-Freightliner diesel trucks (models "WF42" 4 × 2 and "WF64" 6 × 4). In 1953, machines with a flatter front cabin wall appeared: the truck WF-4864 Spacemaker 6 × 4 with a horizontal Cummins diesel engine placed under the frame and a tractor WF-5844 (4 × 4) with a short tilting cab. A year later, the program was headed by a tractor "WF-7564" (6 × 4) with an engine of 250-325 hp, whose distance from the edge of the bumper to the back wall of the cabin or sleeping compartment ("BBC" parameter) increased from 1220 to 1900 Mm. The less powerful and heavier versions wore indexes "WF-6342" (4 × 2) and "WF-6364" (6 × 4). In 1958, their development was the tractor "WF-8164T" with a motor in 325-450 hp. And a reclining cab with a flat windshield. At the Californian factory in Pomona, commissioned in 1960, the "WFT-7242" (4 × 2) model was launched with the most comfortable cab, 1830 mm long. In the 60-ies. The main plant in Portland has been expanded several times, a new venture has been built in Indianapolis, an open Canadian branch is near Vancouver. This allowed in 1961-66 years. Increase annual sales from 1,242 to 6,500 vehicles and bring the number of employees to 2,400 people. At the same time, the most powerful and powerful Freightliner cars appeared, including 50-tonne Sugar Liner 6 × 6 trucks carrying sugar cane in Hawaii, capable of traveling at a speed of 0.5 km / h; Road tractors "Turbo Liner" (Turbo Liner) with 450-strong gas turbine "Boeing" (Boeing) and automatic transmission, heavy construction chassis with 1-local cab. A series of carless cars in 1973 was headed by one of the largest tractors of its time - a 500-horsepower "Powerliner WFP-7564T" 6 × 4 with a cabin length of 2440 mm .. In 1974, the serial production of the hood trunk tractor "WTF-8164 Long Conventional 6 × 4 with sleeping compartment behind the cabin. By that time, the energy crisis had broken out, new rigid technical requirements for heavy machinery had appeared. White, more busy with his problems, weakened control over the "Big Four" that made it up, and as a result, Freightliner in December 1975 unilaterally terminated the contract with White. In April 1976, the cars were returned to the brand Freightliner, and the former letter index "WF" was replaced by "FL". The official divorce of "Freightliner" and "White" took place only on December 8, 1977. During this short period of independent activity Freightliner changed the appearance of all trucks, introduced cabins for low-frame chassis, signed an agreement with the Swedish concern Volvo Sales (look: Volvo truck PDF Manuals) in the United States, commissioned another plant in Mount Holly, North Carolina. As a result, in 1978, 13577 vehicles were sold, and the company staff reached 6 thousand people. 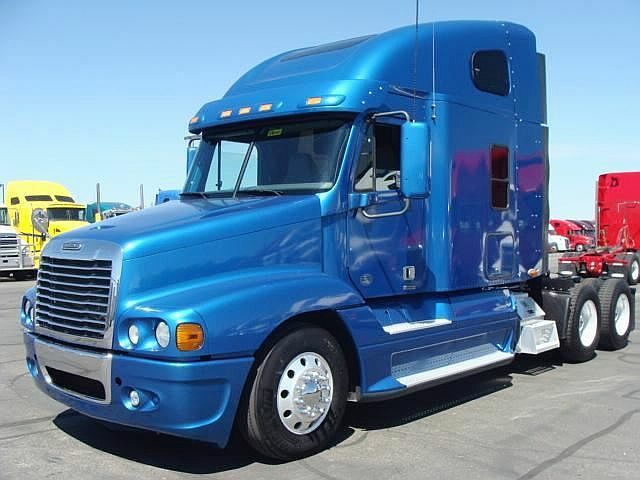 May 5, 1980 Freightliner unexpectedly signed a contract with the German concern Daimler-Benz (Daimler-Benz), becoming his US subsidiary. At first this cooperation was progressing with great difficulty. The organization of assembly in the USA of Mercedes-Benz trucks of the middle class made it possible to increase the production volume of 1983 to 12 thousand cars. The first result of the joint work was the new hood series of trucks and trunk tractors "FLC112" (4 × 2/6 × 4) introduced in 1985 with the front axle shifted rearward, a new steel cabin and a 1.5-meter sleeping compartment. Since 1986, the chassis "FLC112SD" was produced for heavy work. A year later, it was first installed anti-lock system (ABS). The new family was so successful that in 1987 the output increased to 27,000 trucks. 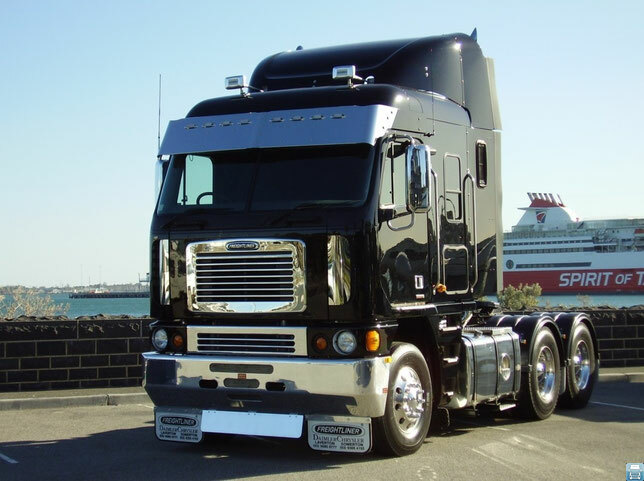 In 1989, the second "FLD120 Conventional" (4 × 2/6 × 4) was presented with an aluminum cabin, the form of which was perfected in April 1988 in the wind tunnel of Mercedes-Benz. Its classic version was «FLD120 Classic XL» (Classic) with a rectangular hood. In the late 90's. It was offered in a 600-strong version of the "FLD132" with a 2.1 m long sleeping compartment. In 1990, there appeared a short-base gamma "FLD112", which was soon collected in Australia. The digital indices in the notation of the new families reflected the "BBC" parameter in inches. In the following years, basic models for work in the structure of road trains with a gross mass of 36.3-90 tons were offered with diesel engines with a power of 278-600 hp, boxes with a number of gears of 5-16, electronic control systems and ABS, airbags, sleeping compartments Length up to 1778 mm. And the "BBC" parameter within the range of 3,073-5,260 millimeters. In March 1991, a presentation of the "small" hooded series "Business Class" (Business Class) for local transportation with a total weight of 7.3-15 tons (models from "T150" to "FL80") took place. Since 1995, the heavier models "FL106" and "FL112" (4 × 2/6 × 4) with a gross weight of up to 28 tons were manufactured. In general, the "FL" series is completed with engines of 162-460 hp, including gasoline "Dodge", and boxes with a number of gears from 5 to 15, including automatic ones. Developed since 1989, a new hoodless trunk tractor with an aluminum tilting cab was offered since 1993 under the index "FLB" (6 × 4). It was designed for road trains with a gross mass of up to 63.6 tons, was equipped with engines with a capacity of 250-500 hp. And cabins in length 1600-2795 mm .. On its basis in Canada low-frame construction chassis "FLL" (6 × 4/8 × 4) was manufactured, which later received the brand "Condor" (Condor). In 1995, the hooded towing vehicle of increased comfort and safety "Century Class" (Century Class) was introduced in variants "C-112" and "C-120" with a 6-cylinder 12-liter diesel engine in 300-525 hp ., Air suspension, laser rangefinder, cabin height 1740 mm. And roomy sleeping compartments. 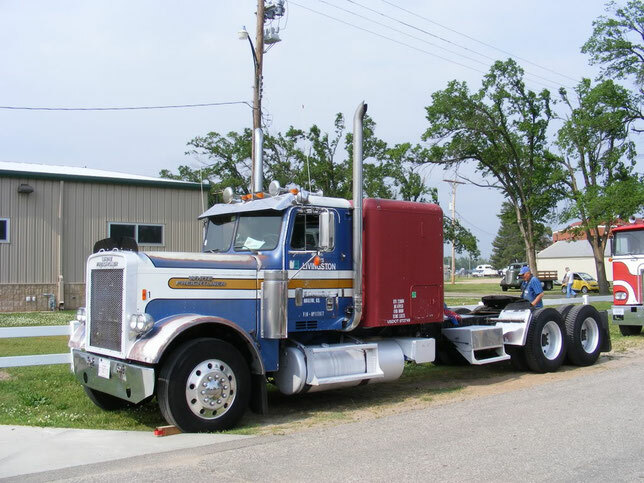 The development of this range in 2000 was the trunk tractor series "Columbia" and "Coronado" 6 × 4 with bold "aerodynamic" forms of feathering, almond-shaped or four round headlights, several types of roomy sleeping compartments. They are equipped with diesel engines up to 600 hp, 13-speed gearbox with electronic control, aluminum cabs and glass-plumage. Since 1998, instead of the "FLB" series, we have produced comfortless tractors "Argesy" 6 × 4 with engines of 300-600 hp. And cabs of different sizes. Rapid development of the company "Freightliner" is associated primarily with the entry of its main European partner in the international corporation "Daimler-Chrysler" (Daimler Chrysler). 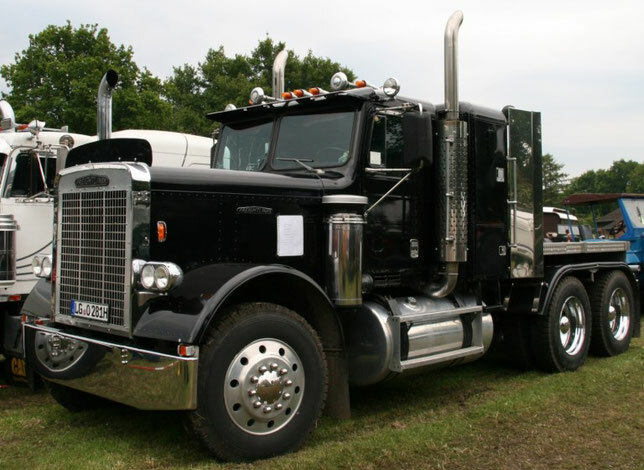 By the end of the 20th century, the Freightliner, producing 84-97 thousand heavy trucks and bus chassis each year, came in second in the US, and was also able to purchase a cargo division of the Ford concern (look: Ford truck PDF Manuals), renamed Sterling, And American LaFrance, a large manufacturer of fire engines. 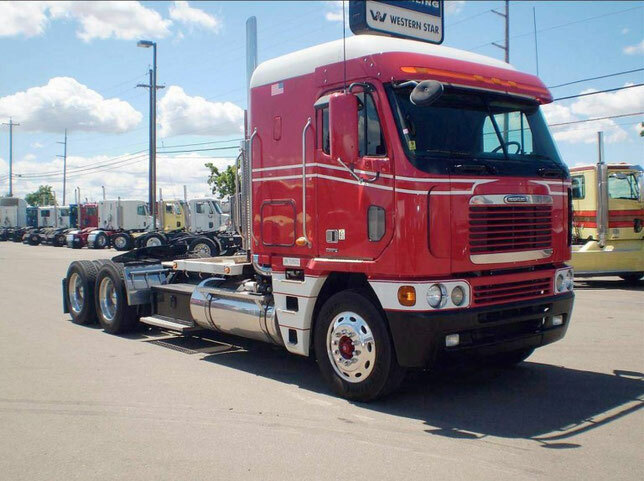 In August 2000, Freightliner also bought the Canadian company Western Star, which produces heavy trucks. 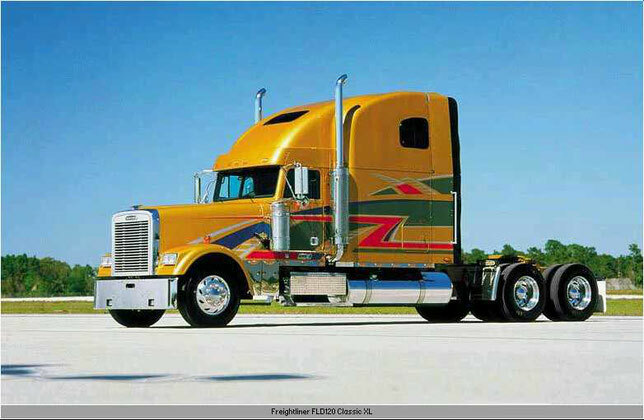 Freightliner is a phenomenon in the American truck industry. For more than half a century, it has always been under the tutelage of large monopolies and has remained independent for only about 10 years, which did not prevent it from turning from a regional transport company to one of the world leaders in the field of heavy trucks and long haul trucks.